Laughter is known to be the best medicine already and when it comes together with yoga and the yogic breathing, it truly does wonders for the mind and body. It does not only help to become happier but also releases endorphins that promote the overall mental health and well-being. We should try making it a part of our daily routine and join a club, if possible, because the health benefits of this yoga extend for people of all body types. Most of the people around the globe find it difficult to keep their mood stable all the time. The better your mood is, the better is the quality of life. Laughter yoga is so powerful that it releases chemicals in the brain that make you happy and more positive. A good mood that does not depend on anything is a blessing and that is what you learn by practicing laughter yoga. You become more cheerful and spend the day with a smiling face. This helps keep the negativity away, ensuring your mental wellness. This life keeps us busy in running after money, security, fame and power but all these things give us temporary satisfactions and then the quest begins again. For once, you need to stop running and enjoy the company of a few good friends that put a smile on your face. There is no better tool to interact with people that having a good laugh with them. After all our basic needs, we seek for appreciation and compassion for the healthy emotional development. Laughter clubs offer a great social network of individuals who positively interact and care about one another. This helps you fight depression and stress and provides a sense of emotional security as well. Laughter yoga does not only help you to cope with your mental and physical illnesses but also cures them. 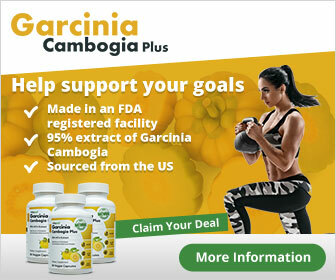 It is best for those who are well and want to maintain a healthy lifestyle. It ensures fitness and mental relaxation and that is why many people are a regular member of laughter yoga clubs. Moreover, it also gradually makes the immune system stronger. It is a powerful cardio exercise that increases blood circulation and relaxes all the stressed muscles in the body and brain. Not only is it relaxing to the mind, but it also reduces the symptoms of chronic diseases, blood pressure, asthma and depression. It eradicates all sort of stress from your life and helps develop emotional balance in life. It is so effective that people begin to feel the benefits just from the first session. Calmness is the key to stay composed and take better decisions in times of pain and difficulty. Laughter yoga helps to calm your nerves and enables you to deal with the toughest situations with a composed mind without panicking or stressing over it. It also enables you to deal with difficult and negative people around you in a more positive way than a normal person who doesn’t practice laughter yoga can. If you like this article, don’t forget to share this to your best social media.